Cycling’s Spring Classics are a collection of prestigious one-day professional road races held every spring in Western Europe. There is some debate over exactly which races count as Spring Classics, but they typically include famous contests like Milan-San Remo, Gent-Wevelgem, Tour of Flanders, Paris-Roubaix, Amstel Gold, La Flèche Wallonne and Liège–Bastogne–Liège. Whether you watch every major pro bike race or just a few, you won’t want to miss any of the Spring Classics, and in this article, we tell you why. Reason #1: It’s the best racing of the year. Each Spring Classic lasts exactly one day, which makes for the most exciting kind of racing. 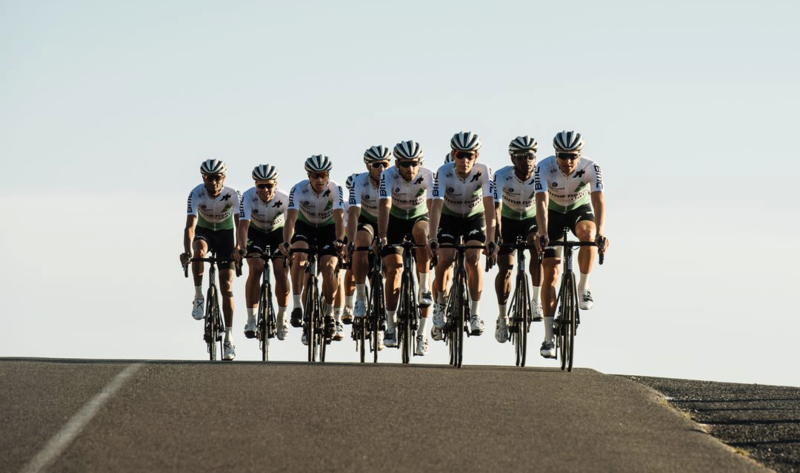 There is no subsequent stage 2, stage 3 or even stage 20 like in a Grand Tour, so there is no point in the big teams stifling the action to save their top contenders for the next day or the next two weeks. It’s all or nothing from the start to the finish. Every Spring Classic is filled with pageantry and superhuman effort. Throw in some epic conditions like freezing rain, choking dust or muddy cobbles and put between 150 and 200 pros on Europe’s narrowest and often roughest roads, and it’s like a sort of World Cup of road cycling. Reason #2: Be part of cycling’s history as it unfolds. When you watch the Spring Classics, it’s like being part of history as it happens. Some of the Spring Classics have been around since the 19th century, and four of the five famous cycling Monuments are in the spring: Milan-San Remo, Tour of Flanders, Paris-Roubaix and Liège-Bastogne-Liège. Only Il Lombardia occurs in the autumn. Once a rider wins a Spring Classic, his name is forever etched into cycling’s history books. Think of iconic Classics winners like Eddy Merckx, Johan Museeuw, Tom Boonen, Fabian Cancellara and Philippe Gilbert. Reason #3; Watch a new star emerge. There is no script for the Spring Classics. Sure the favorites might win any given race, but they might not. The outcome is never guaranteed to be limited to victory by a handful of top contenders. Every Spring Classics season brings some new breakout performances, instantly catapulting a relatively unknown yet very ambitious pro to star status. An example is Tom Boonen getting the opportunity to ride for himself in the 2002 Paris-Roubaix after his team leader George Hincapie crashed on a slippery cobbled section of the course. That day, Boonen rode to third place on his way to becoming Belgium’s next Classics superstar after Johan Museeuw. He would go on to win four editions of Paris-Roubaix, three Gent–Wevelgems and many other races. Reason #4: Learn all the new team kits. Every year, the pro teams update their cycling kits. Changes may be as simple as a few minor design tweaks or as big as a entirely new color schemes. It can take some time to get used to each team’s new jerseys so that you can pick them out quickly in the peloton as you’re following along with all the action unfolding on TV. But once you learn those new kits, you’ll be all set heading into the rest of the season’s big races like the three Grand Tours. Reason #5: Get motivated to ride. Let’s face it, in many parts of the Northern Hemisphere, March and April mark the start of cycling’s main riding season. Maybe you’re lucky enough to live in a place filled with warm sunshine year-round, but many of us live in places with variable weather not so unlike that of Western Europe. After you watch the pros pound the pedals for hours and hours over the cobbles in the cold rain, it’s a lot easier to get motivated to throw yourself out the door into whatever epic spring conditions may be happening in your area. And no matter what your weather, how can you not be motivated to go log those spring base miles and get back into shape after watching the best pro cyclists in the world race their hearts out?